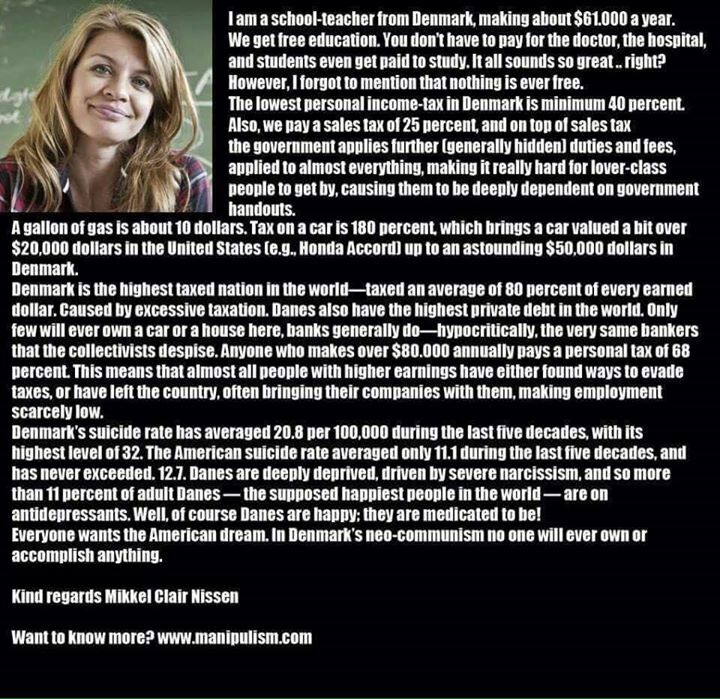 According to the meme above, socialism in Denmark isn’t going nearly as well as Americans think. Millennial with a hunger for the truth. American by birth, patriot by choice, conservatarian through education. Bringing you the news and opinions that matter to YOU.